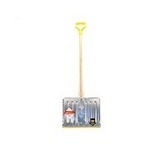 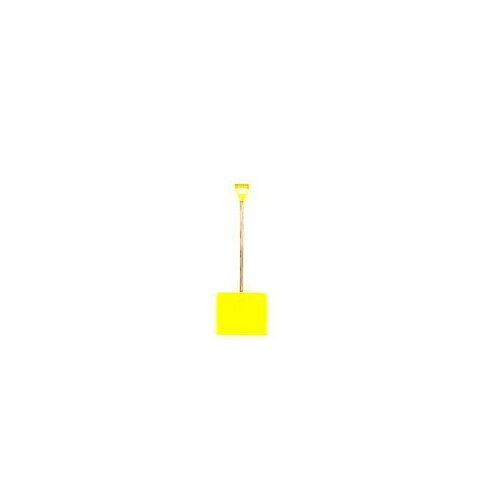 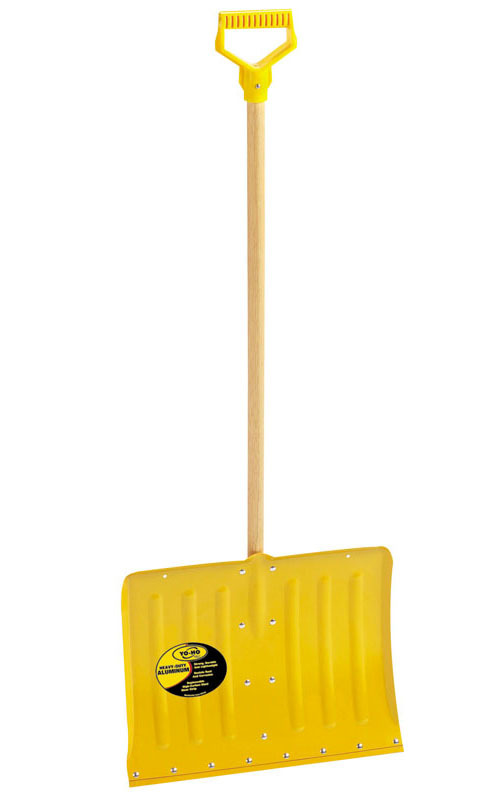 SNOW SHOVEL AND PUSHER Aluminum snow pusher Pusher has braces & "D" grip Handle length: 42" Natural blade, yellow non-stick epoxy finish 03080 30 IN. 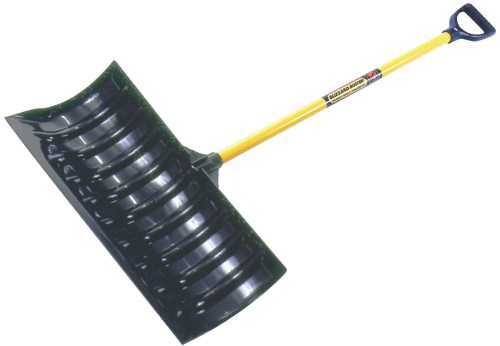 D ALUM SNOW PUSHR BLADE:12 x 30"
BRACED SNOW PUSHER Braced blade made of tough rigid polyethylene Impervious to moisture Low coefficient of friction Fiberglass handle 77030 30 IN. 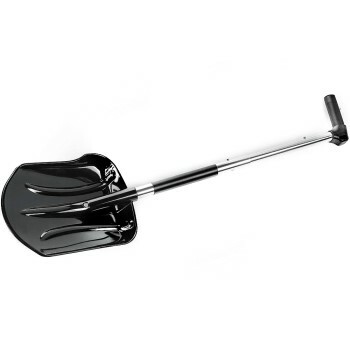 D BRACED SNOW PUSHER SIZE:30"
SNOZONE(R) ALUMINUM SNOW PUSHER Sturdy aluminum blade Designed for heavy use Durable seal-coated Northern Ash handle Deep handle socket design for added strength No wear strip Overall length is 58-3/4" 1641900 24 IN. 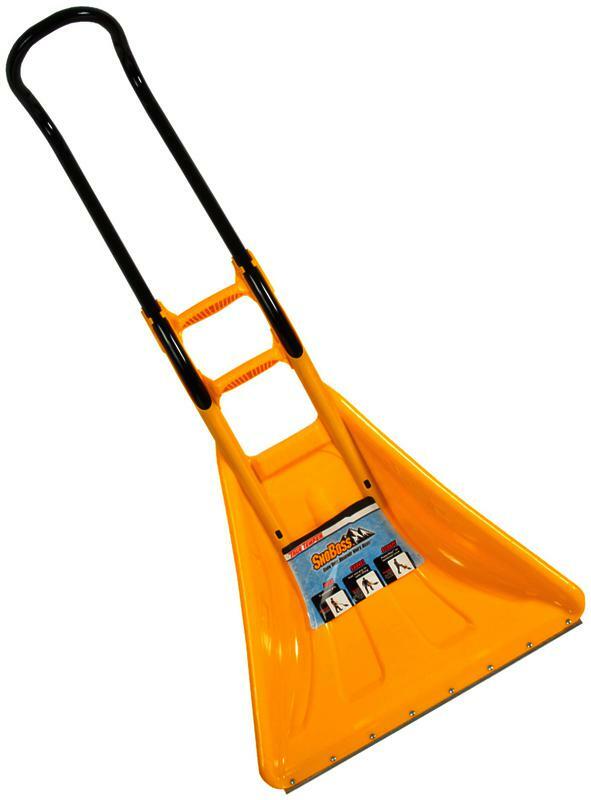 ALUM SNOW PUSHER BLADE:12" x 24"
| Remove snow from your roof from ground level, without climbing on ladders or on the roof | Prevents ice dams, saves costly repairs - insurance industry recommended | Constructed of ultra lightweight aluminum and telescopes to 16' | The bracing is located on the top of the blade resulting in no interference with snow removal | The telescoping handle come with snap-pin engagements for easy assembly and storage | 16' snow roof rake | 3 section telescoping handle | 82"
BRACED SNOW PUSHER Braced blade made of tough rigid polyethylene Impervious to moisture Low coefficient of friction Fiberglass handle 77024 24 IN. 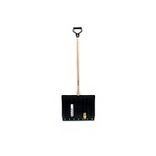 D BRACED SNOW PUSHER SIZE:24"
24" STEEL SNOW PUSHER Arctic Blast series snow pusher Steel blade pusher with braces Durable seal-coated Northern Ash wood handle Extra-wide D-grip on handle Maximum comfort for gloved hands Quick-Connect system for simple and - secure handle to shovel attachment in seconds Overall length 52" 1639300 24 IN. 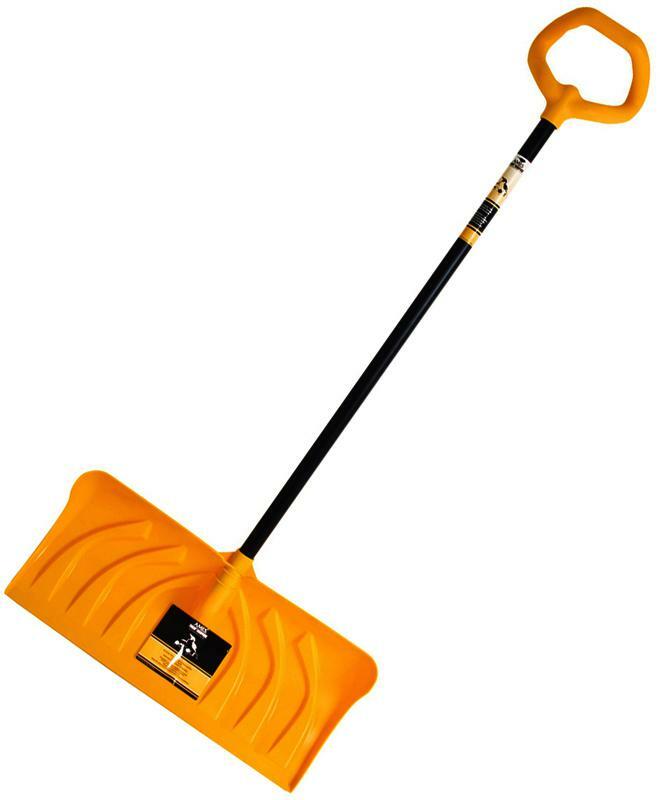 STEEL SNOW PUSHER SIZE:10" x 24"
STEEL SNOW SHOVEL Steel snow shovel 18-gauge steel blade & poly D grip Socket type construction Yellow non-stick epoxy 04017 18 IN. 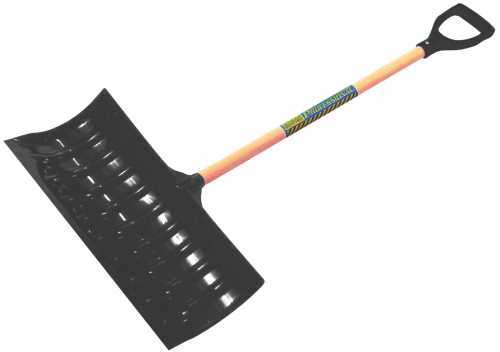 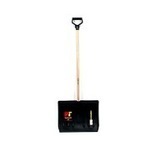 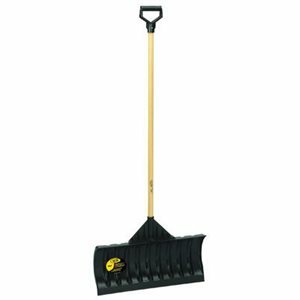 D STEEL SNOW SHOVEL BLADE:15 x 18"
POLY SHOVEL / PUSHER Polyethylene blade shovel with poly "D" grip 36" length wood handle Black finish 05923 18 IN. 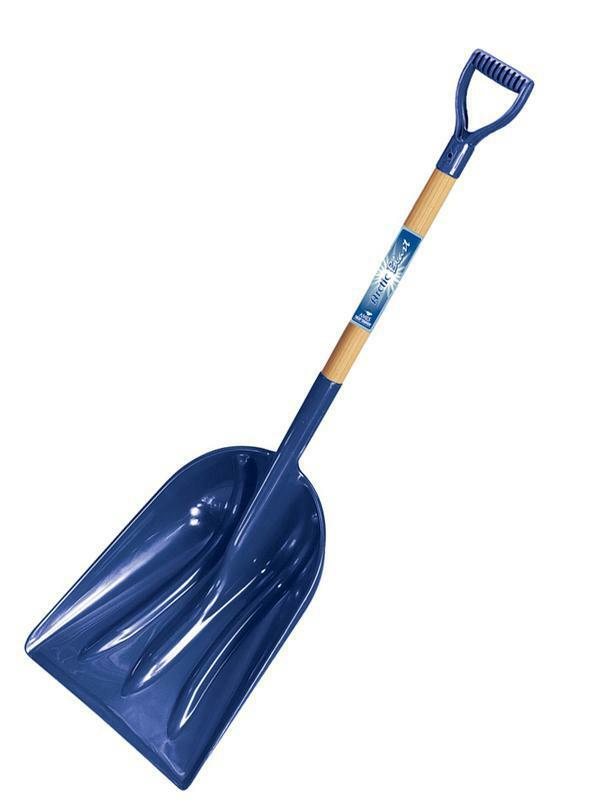 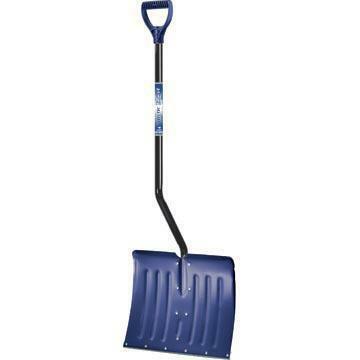 W POLY SNOW SHOVEL BLADE:15 x 18"
POLY SNOW PUSHER Proven not to crack or break Withstands extreme temperature changes Molded heel for extra bracing Handle: 48" length With "D" grip handle 05902 24 IN. 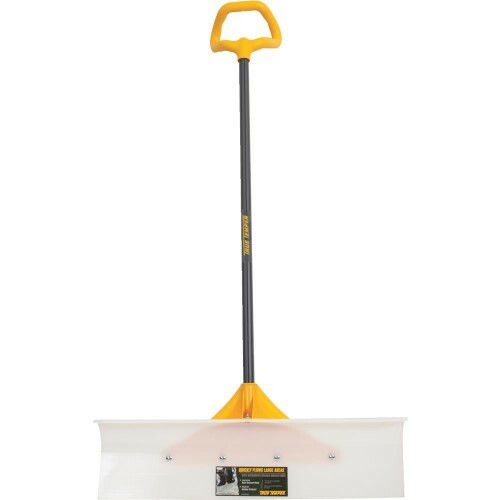 D POLY SNOW PUSHER BLADE:12 x 24"
SNOW SHOVEL AND PUSHER Aluminum snow pusher Corrugated blade .058 gauge aluminum allow, mill finish Yellow epoxy wear strip & heel Clear lacquer finish hardwood handle 12-gauge socket & steel rivets secure handle Overall length: 56" 03002 18 IN. 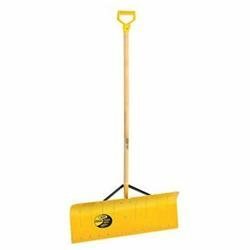 HD ALUM SNOW PUSHER BLADE:18 x 12"
SNOW SHOVEL AND PUSHER Spring steel shovel 18-gauge spring steel blade w/ square handle Handle: 36" length Yellow non-stick epoxy coating 04020 18 IN. 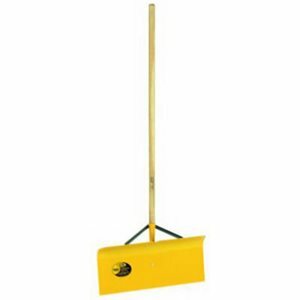 D STEEL SNOW SHOVEL BLADE:15 x 18"
SNOW SHOVEL AND PUSHER Aluminum snow shovel Full size blade .040 gauge aluminum alloy Yellow epoxy wear strip & heel Steel heel 03040 18 IN. 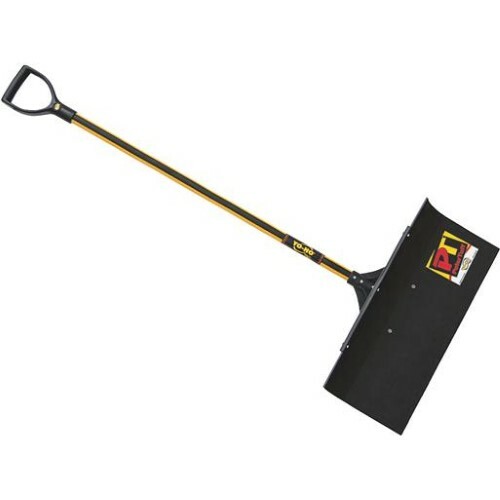 D ALUM SNOW SHOVEL BLADE:18"
SNOZONE(R) POLY SCOOP W/D-HANDLE Heavy-duty ABS blade has ribbed design Offers strength and durability Extra-wide D-grip for maximum comfort- with gloved hands Durable seal-coated Northern Ash wood handle Overall length: 46-1/2" 1681500 POLY D-HDL SNOW SCOOP BLADE:14-1/4x17-3/4"
POLAR TUFF SNOW SHOVEL WITH WEATHERSTRIP Wood 'D' handle with 18" blade Polar tuff poly blade Blade has steel wear strip 76023 18 IN. 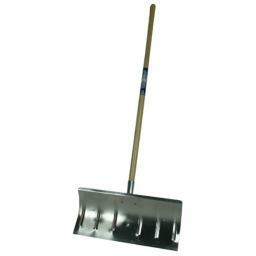 D POLY SNOW SHOVEL BLADE:15 x 18"